For over thirty years Fred Poole was a writer and journalist traveling throughout the world into dangerous territories – from Haiti to Cuba, from Beirut to Angola, from Bangkok to Kuala Lampur – and writing about it. 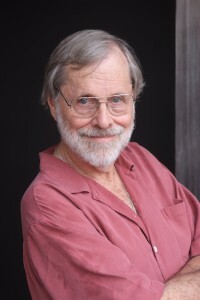 During these years he published over a dozen books including a novel Where Dragons Dwell (Harper) and the exposé Revolution in the Philippines: the U.S. in a Hall of Cracked Mirrors (McGraw-Hill). In the mid-eighties, responding to a persistent sense of dissatisfaction, Poole allowed his life to take a more spontaneous and introspective turn. His explorations led him into years as an art student in New York City followed by progressive theological studies and a master’s degree at Boston College. Marta Szabo was an editor in mass-market paperbacks then in magazines before setting out on a serious pursuit of yoga and meditation. She lived in an ashram – a yogic monastery — for over ten years, spending a year and a half in India. Since leaving the ashram in 2000, Marta has pursued her art full throttle, picking up an MFA in Creative Writing from Goddard College and completing two memoirs, The Guru Looked Good and The Imposters, both written almost entirely in the workshops. She posts current writing at Experiments in Memoir. In addition to offering regular Authentic Writing workshops in Woodstock and Manhattan, Marta has brought the program to young people, teaching in colleges and schools throughout the Hudson Valley. She has offered writing groups to cancer survivors, young leaders, at-risk teens, and young men in correctional facilities. She created “Ink in the Air,” a creative writing radio show for WJFF, a public radio station in the Catskills. 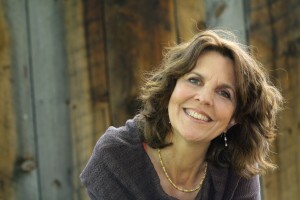 She teaches Authentic Writing at Omega Institute each year, co-founded the Woodstock Memoir Festival and continues to curate and host it at Omega.